If you guys were looking for a fun, magical circus story along the lines of The Night Circus, boy do I have a book for you! 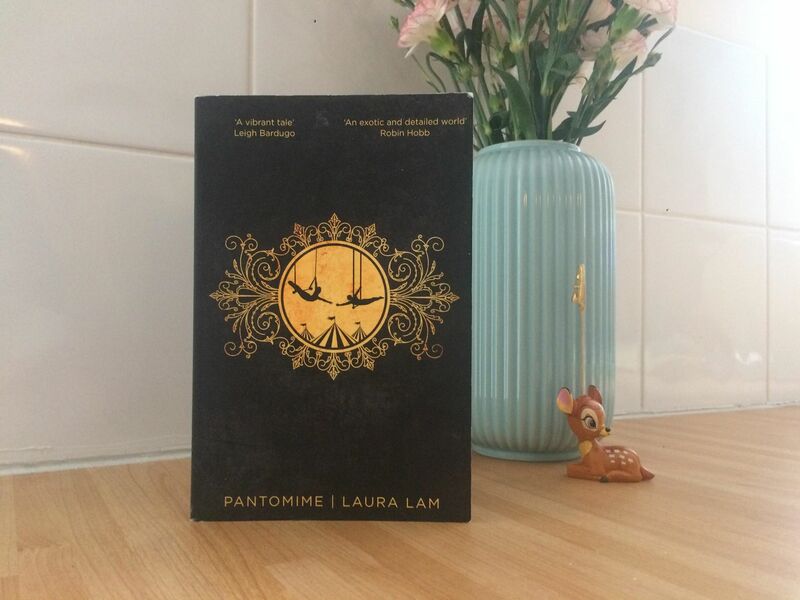 I picked up Pantomime after hearing Laura Lam on a panel. She was a fantastic speaker and so, even though I didn’t know that much about her book, I decided to pick it up! It took me a little while to get to it but I am so glad that I did. Pantomime is the story of Micah Grey, who quite literally runs away and joins the circus. Their life in the circus is certainly less restrictive than the life they had before but it is certainly not easier. Not everyone has welcomed Micah and remnants from his past life as Gene Laurus, a young noblewoman, are creeping nearer to his new found peace. Add strange occurrences and old mythology to the mix and things are certainly more than a little confusing for Micah. I absolutely loved the character of Micah from the first few pages of Pantomime and was completely invested in his story. He is lovable and frustrating in the best possible way. This is particularly true when you see him interacting with the cast of the circus for the first time: there are some characters that you beg Micah to run away from and some you just want him to open up to. It is not just Micah that makes this an engaging read however. Throughout this book, there are hints of magic and wonderful mythology that we do not yet understand. They were like the curtain to another world had briefly fluttered open. I sincerely hope that they are explored in more detail in the last two books of the trilogy. From what I have seen so far, I think this could be the start of a thrilling and enthralling fantastical world that I cannot wait to discover more of. Watching Micah Grey discover them with me will be half of the fun I think! I will say the pace is a little slow at first as the world building takes place but after that it accelerated towards an explosive ending that was utterly captivating. It wasn’t long before I could hardly put it down – well worth a slower start in my opinion! I have this one on my shelf! I’m ever more keen to read it after this review. It sounds awesome.